Both the pairings and the dishes provided a unique experience. I contacted Hochar after the dinner for his impressions on matching the wines of Chateau Musar with Mamnoon's menu. We also discussed the reason so many of Musar's wines are blends, why the 1984 vintage is "not a wine for the faint-hearted", and how the journey of Musar is expressed every time you enjoy a glass. We began the meal with the first few dishes served alongside a taste of three Musar Jeune wines (Blanc, Rouge, and Rosé) to decide which one we thought was best with each course. Tell me why you decided on this approach, and do we worry a little too much about finding the “right” or “perfect” pairing ? Taste is a very personal experience. Food and wine pairing is also a very personal experience. We each taste and sense through the lens of our memories and of things we have lived, so why should I impose my view on somebody else? By getting each one to experiment on his own to find his personal best match, each person has to engage much more in the process, and commit to what they think is right, not what they have been told is right. This definitely makes it a much more enlightening and memorable experience. Your thoughts on the menu at Mamnoon and the experience of enjoying the wines with the restaurant’s take on Middle Eastern cuisines? I was extremely impressed by the chef’s adaptation of Middle Eastern cuisine with the use of local fish and seasonal vegetables available in Seattle at this time of the year. Most dishes had a local twist, while retaining their roots in classical Middle Eastern cuisine and flavors. Since our wines are all about finesse and elegance, not power, they are best suited to dishes with subtle and balanced flavors, which is exactly what Mamnoon’s chef delivered. In my view, no wine should overshadow food, and no food should outweigh wines; a great pairing is when you get an explosion of aromas, and when both food and wine are better as a combination, rather than each one on its own. All of the evening’s wines were blends. What do they offer that a wine made from a single grape does not? We always seek to achieve balance and harmony in our wines, and each varietal contributes something to the final blend. If our Chateau Musar red blend were compared to a human being, the Cabernet Sauvignon would represent the backbone and skeleton, the Carignan would represent the muscles that hold the body together and upright, the Cinsault is the smooth and silky skin. Each one alone could be a great representation of the single varietal, yet you may reach better harmony if they work as a team. There are limitless interpretations of taste. We have just expressed one of them through our blends, based on our fruit and terroir. You talked about the unique journey of the grapes from the 1984 vintage and what it was like to recently taste a wine from that vintage. Can you recount that story from grapes to glass? 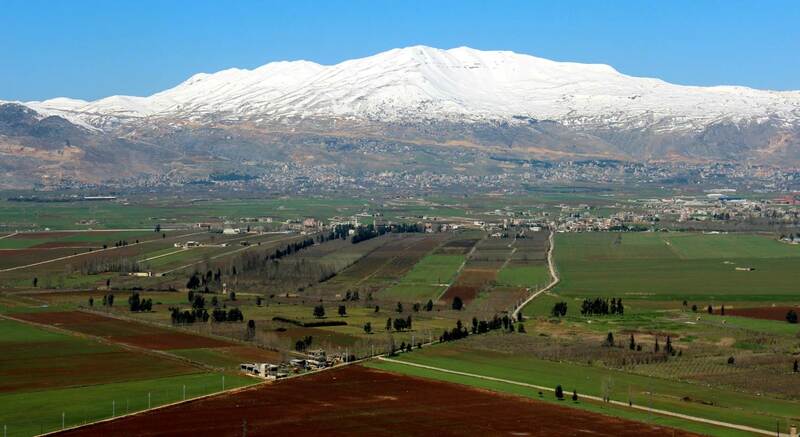 The 1984 vintage was harvested one month late because of the raging war in Lebanon. In addition, the trucks that transport our grapes from the vineyards to the winery took a little longer than the standard 3-hour trip because of blocked roads and uncrossable check points. Only two truckloads made it through, and this after a 5-day ordeal. The grapes and juice had started fermenting in the truck by the time they reached the winery. Despite the wild nature of this vintage, my father bottled it and stored it in our cellars, without ever releasing it. Fast forward 25 years: during a visit at the winery by several US sommeliers, one of them picked up on the 1984 story and wanted to taste it. The wine was alive. It had bounced back from its Madeira features, and was now showing aromas of port but was much lighter than Port on the palate, and definitely dry and well balanced. A very unusual combination, appealing yet intriguing, that will only get better with time. It is now available in the US market, but definitely not a wine for the faint-hearted. Finally, you stated, “Musar is a journey.” How is that revealed or understood through the experience of enjoying the wines? We have what I call a “non-interventionist” approach to making wine. We stay as close as possible to the juice, as neutral as possible, and let nature make its magic, rather than interfere and alter its path. The result is that our wines are alive, raw, unformatted. When you first open a bottle of Chateau Musar, the wine needs time to adapt to its new environment; it is introverted and understated, there is no “instant gratification”. As it opens up, it reveals more of itself and of you, as you dig deeper and uncover more of what the wine has to offer. Every bottle, every glass, every sip is different. And the more time you give it in your glass, the more it changes and surprises you. This is the journey of Musar. Here's the menu from the evening. Though specific wines were listed below each course, it was an opportunity to sample many wines from multiple vintages and come to our own conclusions. Also, see what Marc's father, Serge, had to say about food and wine pairing as well as his favorite vintages of Chateau Musar.